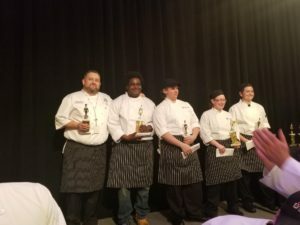 ESLC Takes Home Top Chef Award at Culinary Clash! 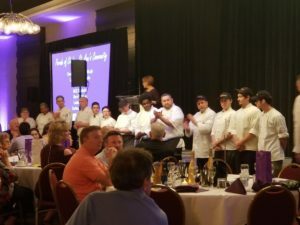 Home > News > ESLC Takes Home Top Chef Award at Culinary Clash! 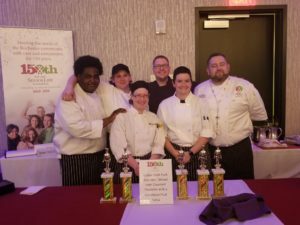 David Watkins, Director of Dining and Hospitality, and his team were awarded the Top Chef Award at this year’s Alzheimer’s Association Culinary Clash with their dish Cuban-style pork shoulder served over creamed plantains with a Caribbean Fruit Salsa. A great way to end a great night for a great cause!